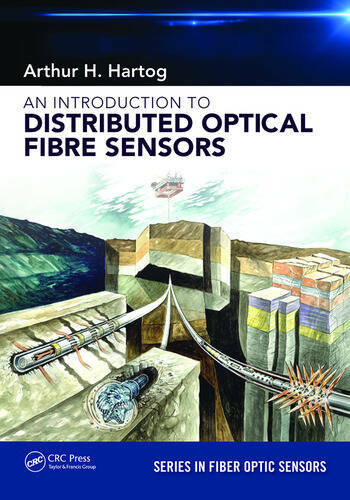 This book explains physical principles, unique benefits, broad categories, implementation aspects, and performance criteria of distributed optical fiber sensors (DOFS). For each kind of sensor, the book highlights industrial applications, which range from oil and gas production to power line monitoring, plant and process engineering, environmental monitoring, industrial fire and leakage detection, and so on. The text also includes a discussion of such key areas as backscattering, launched power limitations, and receiver sensitivity, as well as a concise historical account of the field’s development. Arthur H. Hartog is a Schlumberger Fellow at the oilfield services company Schlumberger. For most of his professional life, Arthur Hartog has worked on all aspects of distributed sensing from basic science, through to engineering, manufacturing and applications development. He demonstrated the first distributed temperature sensor and later, at York Sensors Ltd, led the development of several successful families of Raman-based distributed sensors. Since 2001, he has been with Schlumberger where his activities have broadened into the research and development of a range of sensor technologies including long-range temperature, strain and vibration distributed sensing for pipeline monitoring. More recently he led the research and development of distributed vibration sensors, primarily for borehole seismic surveying but also for production monitoring applications. His current research interests are the investigation of new distributed sensing techniques and their applications to borehole measurements. Arthur Hartog is a Senior Member of the Institute of Electrical and Electronics Engineers (IEEE) and Optical Society of America (OSA) and a member of the European Association of Geoscientists and Engineers (EAGE). He was educated in Belgium, France and the UK and holds BSc, PhD and MBA degrees from the University of Southampton (UK). He has authored or co-authored more than 100 journal articles and conference papers and is the inventor or co-inventor of some 50 granted patents.